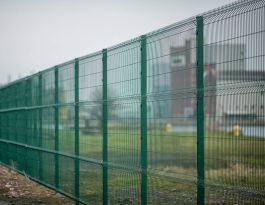 Pro-vario provides a good and cost-effective fencing solution for situations where a medium level of security is required, and largely because the nature of the tight mesh panel makes the fence both difficult to climb and cut through. However, the overall visual effect of the fences is still pleasing on the eye, and therefore this could be a further reason for it being specified for certain projects. The strength and rigidity of Pro-vario Paladin-style fencing are enhanced with ‘V’ section beams which are pressed into the fence panel, with this section of each panel using a wire of a greater 4mm in diameter. 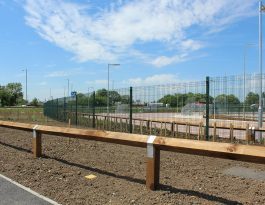 Available in 2.0m and 2.4m high systems, the posts for Pro-vario fencing are manufactured from hollow steel tube with threaded inserts for the steel mesh clips to fit into. The fixings we use to attach each panel to the posts are designed not to rattle (e.g. 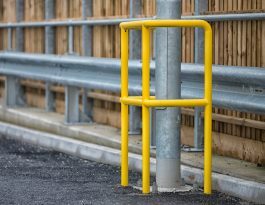 in windy weather) and are made from steel but with rubber pads and secured to the posts with strong stainless steel bolts which are tamper-proof. 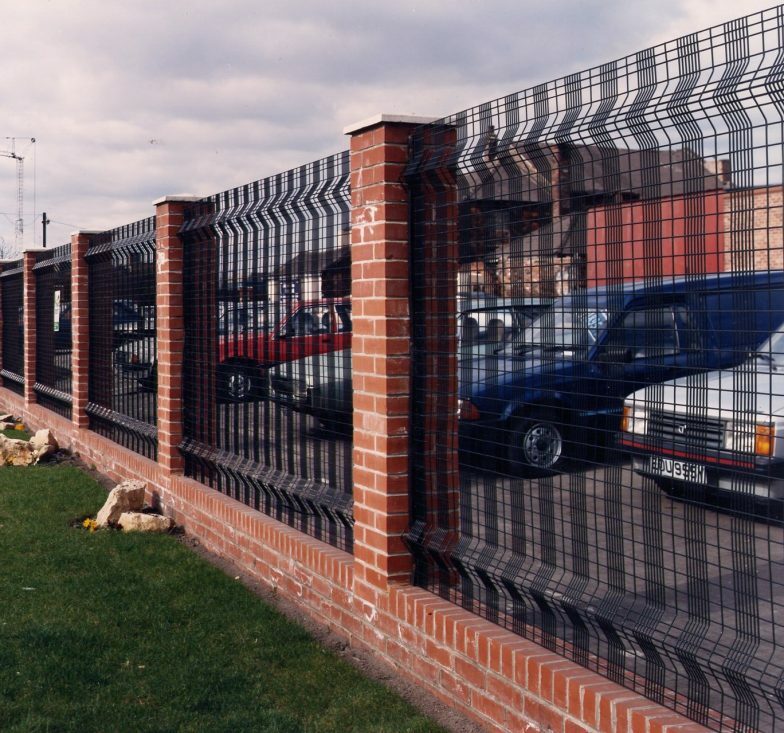 Pro-vario v-mesh fence is manufactured from galvanised steel and polyester powder coated. A fairly standard colour is green RAL 6005 fencing and we always keep this in stock, but we can easily provide non-standard colour if required.